For the next two weeks, two businesswomen hailing from India will be calling Johnson & Johnson’s world headquarters in New Jersey home. Their unique corporate residency is thanks to their participation in the Fortune/U.S. State Department Global Women’s Mentoring Partnership, a program launched in 2006 to pair women from around the world with some of the most powerful female business leaders in the U.S. The goal: equip international mentees with invaluable knowledge that they can use to bolster their own businesses back home—and inspire positive change in their local communities. This year’s Johnson & Johnson mentors include vice president of corporate citizenship Lauren Moore, Janssen Pharmaceuticals president Michelle Goodridge, vice president of marketing Janis Smith-Gomez and president of consumer products Kathy Widmer. Together with their teams, the women will share business and industry knowledge with Gongi Reddy Latha Kalyani and Elsa-Marie D’Silva. Both Kalyani and D’Silva are entrepreneurs and emerging leaders in their own right: Kalyani is the founder of Ancient Living, a company that produces skin, hair and healthcare products made from ancient Indian medicinal and aromatic herbs. She is committed to fostering social change by creating sustainable local livelihoods, and she’s seeking lessons on how she can scale her medium-sized business into a global brand. 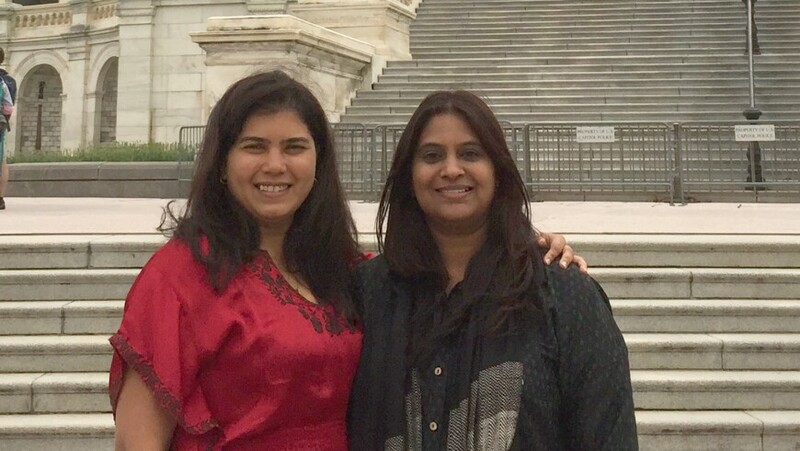 Prior to kicking off their mentorship at Johnson & Johnson, Kalyani and D’Silva attended a four-day orientation in Washington, D.C., where they met with senior-level female officials at the U.S. Department of State. Over the next two weeks, they’ll meet one-on-one with key stakeholders across the company, and attend such events as a TEDxJNJ talk that are designed to help grow their perspectives and networks. Come graduation, they’ll join the more than 265 international businesswomen from 54 countries and territories who’ve participated in the program at such companies as Goldman Sachs and IBM over the past 10 years.